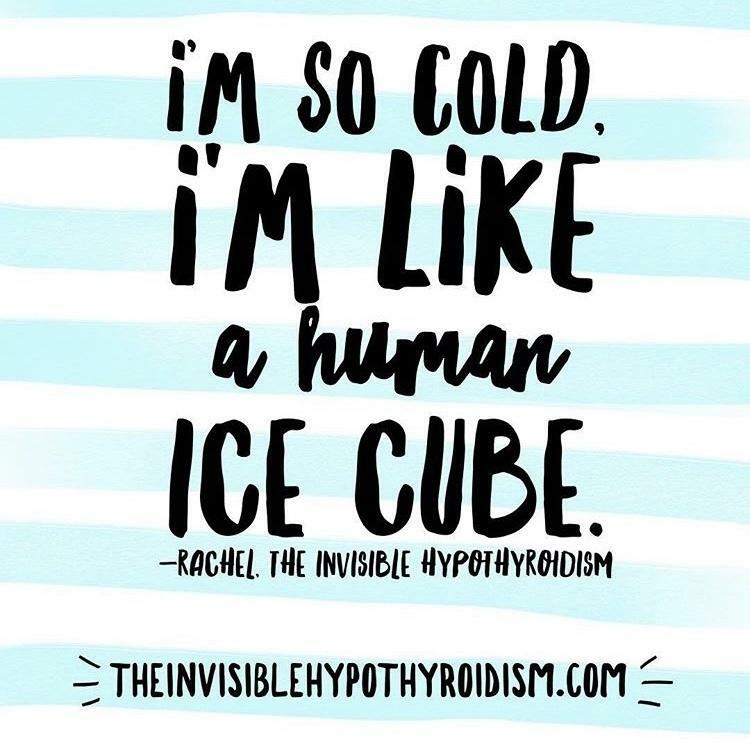 The Invisible Hypothyroidism Newsletter - Issue 19 - Is Your Thyroid Winter Ready? Well, we're officially in to the month of Christmas. How is 2018 already coming to an end?! From 15th-24th December, I am hosting a Health and Wellbeing Reflection Challenge, to reflect on the last year. Feel free to join me! It costs nothing to take part and aims to promote positive thinking. I revamped my 'Gift Ideas for Hypothyroid Patients' list, which you may want to share with friends or family, or if you're buying for a thyroid patient in your life, use it for some inspiration. If you haven't already, it's a good idea to have a thyroid panel retesting at this time of year, as some of us require a dosage adjustment when external temperatures change. To ensure you get to enjoy the holiday season as much as possible, check in with your doctor and make sure your thyroid treatment is optimised. You can also check out what else you can do to support your thyroid health this winter. Study findings: Low Free T3 levels can account for hypothyroidism symptoms when on Levothyroxine. Does your doctor test the FULL thyroid panel, including Free T4, Free T3, Reverse T3, TSH and thyroid antibodies? Discuss this study with your doctor to make sure they test your Free T3. It's vital to good health that the active thyroid hormone is optimised. I emailed the Telegraph, the writers of this article, the same day it went up. Because although this kind of coverage can be helpful, focusing on weight gain alone only feeds the stigma that ‘thyroid condition’ is just an ‘excuse for being overweight’. When we know that it is so much more than that. It’s not just the weight fluctuations we’re left to muddle on with, in fact I would argue that that is one of the least troublesome symptoms, when inadequately treated hypothyroidism causes heavy fatigue, muscle pain, brain fog, cognitive degeneration, depression and more directly life-altering symptoms. People are left suicidal, unable to work, experiencing broken down marriages - all as a result of being denied the medication they need. After expressing these comments to The Telegraph, they have since seemingly edited the article to include a few more symptoms, but we still have a long way to go to raise awareness that 'thyroid condition' is much more than just 'an excuse for being fat'. There is a new, scientifically-backed personalised gut health program that includes customised probiotics and dietary recommendations. As I've mentioned loads of times before, your gut health is so delicately tied in to your thyroid condition. Addressing your gut health, as I have done, can help with weight maintenance, fitness, skin health, metabolism, digestive issues, mood, and more. The status of your gut is the best indicator of your health. How does hypothyroidism differ in men? And it’s OK to have less than perfect health days. In fact, it’s completely human. No regular, non-chronically ill person is healthy 100% of the time. They still catch illnesses. Perhaps your health – physical and/or mental – has been wobbly this year. Maybe it’s been very up and down and there’s been some serious bumps. Hypothyroidism and Hashimoto’s especially can present as flare ups that catch us off guard. But there are some things you can do to give yourself a better chance at next year being an improved one for you and your thyroid health. 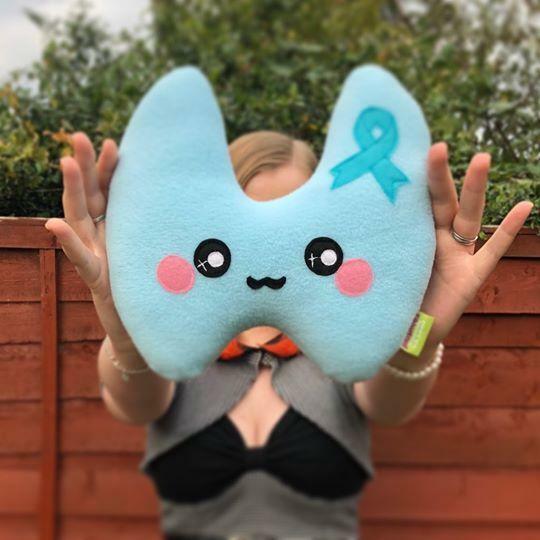 A great Christmas gift, these fun, handmade thyroid plushies are the international colour of thyroid awareness, also great for Thyroid Awareness Month which is held every January.